Firstly, that your body is self healing, self regulating and self organising. In a single moment, you breathe, regulate your temperature, think or talk, repair muscle cells, monitor your blood sugar, recall a memory, digest your last meal, hunt down and destroy cancerous cells, perform about 100,000 chemical reactions in every one of your one trillion cells, listen to a familiar song, …….., and countless other things besides. To do all that requires a wondrous, intelligent, organising power. Secondly, that inborn or innate intelligence depends upon a healthy nervous system through which to communicate. In fact, there are trillions of messages travelling up and down your spinal cord, going to and from your brain, every second. As your nerve superhighway is so crucial to your existence, it is protected by bone. Your skull protects your brain, and the bones of your spine, the vertebrae, protect your spinal cord. To allow you to move, the vertebrae are mobile, and this means it is possible for them to lose their normal alignment or to have aberrant movement. When this occurs it can involve irritation, or interruption, to the function of the nervous system. This is what we call a subluxation. 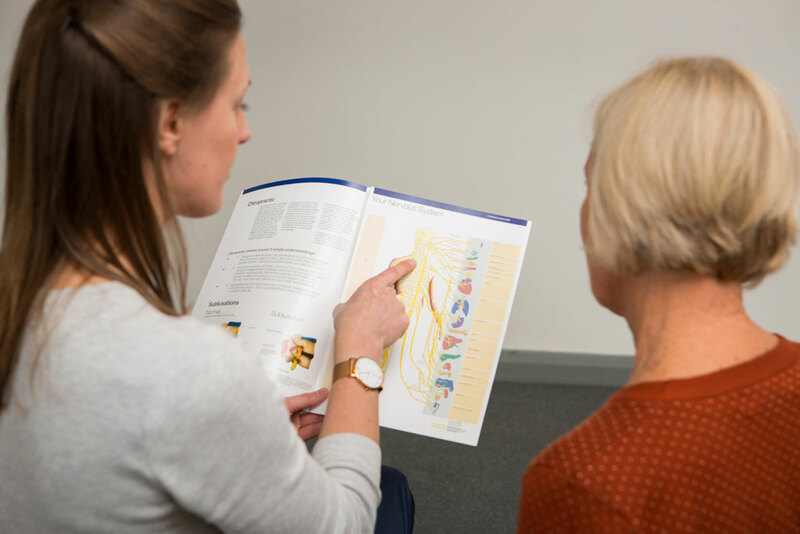 Chiropractors aim to detect subluxations, and through specific adjustments, correct them to allow your innate intelligence full expression through your nervous system. Pregnancy is a special and unique time in a woman’s life. Physical, chemical and emotional needs vary greatly. 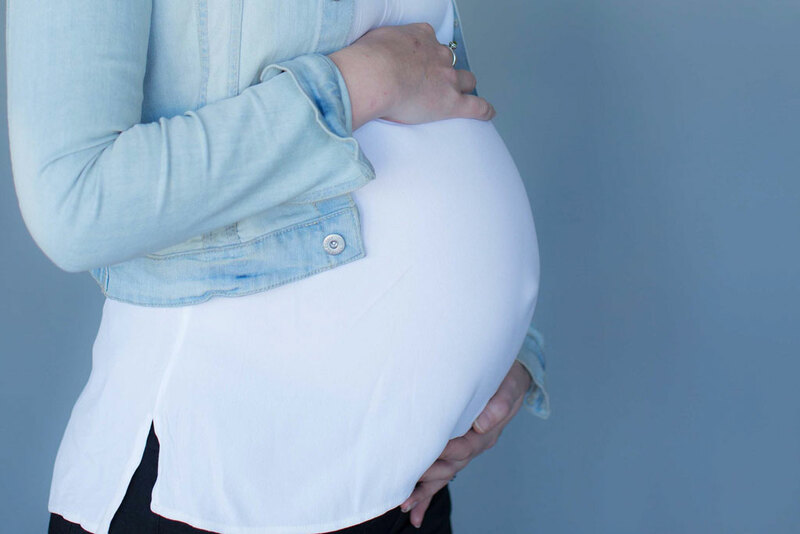 Chiropractic care offers a safe and gentle way to support an expectant mother with some of these needs, to ensure her body can adapt to the changes of pregnancy with grace and ease. It could be said that there is never a more important time in a woman’s life to ensure her spine is healthy and free from the restriction of subluxation. The hormonal changes which create the necessary laxity in her joints and ligaments, may increase the chance of subluxations occurring. Adjustments are adapted to suit a pregnant woman’s changing physiology, and are very safe for both her, and her baby. Dr David and Dr Rebecca are both experienced in working with women during pregnancy, and certified in a specific chiropractic protocol for pregnancy called the Webster technique. The Webster technique is a series of adjustments that work to balance the woman’s pelvis, uterine ligaments and surrounding musculature. If the pelvis is out of balance, the uterine ligaments may become torqued or twisted, perhaps causing intra-uterine constraint. Such constraint can reduce the effective room available in the uterus, making it more difficult for baby to adopt an ideal position for birth (potentially leading to a breech or transverse presentation). It may also slow initiation of labour, and make labour more difficult and prolonged. Ultimately, what matters most is that both mum and bub are happy, healthy and thriving. We are honoured that many women choose us to be a part of their support network at this important time in their lives. Many parents seek gentle chiropractic care for their young children to help nurture and support their child’s growth and development. Both Dr Rebecca and Dr David have a special interest, and experience, in caring for children – even from the very first day of life. Entering this world and then growing up is not always easy. Sometimes even the birth process can be traumatic for a baby. Both vaginal and C-section births can involve significant amounts of tension, pulling or twisting of the spine, especially the neck. We commonly check babies in practice who have experienced these stresses and, oftentimes, it can be very simple to resolve. During the early years, a child’s growth and development is heavily driven by the sensory signals the brain receives through the spinal cord and cranial nerves. A disruption to the normal flow of sensory signals can impair development. Vertebral subluxations have been shown to disrupt sensation to the brain, and chiropractors are trained to detect, analyse and very gently adjust subluxations in babies and children. Techniques are of course age-specific, with very light finger pressure needed to make the required adjustments. Whether amateur or professional, we would love to see every athlete performing at the top of their game. Whether you have a specific injury or issue which is holding you back, or you are performing well and looking to be even better, our focus emphasises the importance of all your body’s systems cooperating efficiently and in sync with each other, to ensure the best results. A healthy spine and nervous system is key to all in which an athlete strives to excel – balance, agility, sharp reflexes, coordination, flexibility and quick recovery. Keen amateur athletes themselves, Dr David and Dr Rebecca are passionate about helping you reach your goals, and are experienced in dealing with athletes from a range of sporting backgrounds and ability levels. 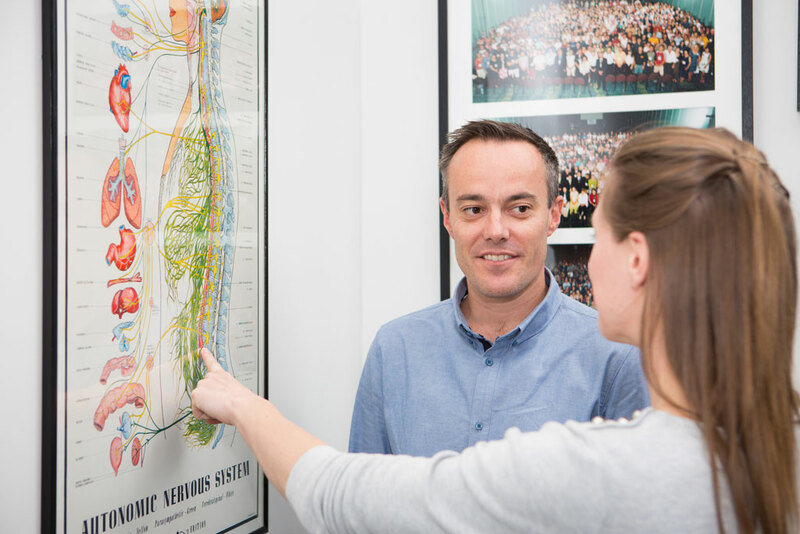 Dr David is currently the chiropractor for the Hawthorn Football Club, and in that role is gaining greater understanding of the needs of elite athletes. You will place another candle on your birthday cake this year. Yes, chronologically, you will be one year older, and that may seem a harsh reality sometimes. Physiologically though, it can be a very different story. For most people over 50, it is possible to be effectively younger in a year’s time than what you are now – your spinal function, your brain function, your fitness, your energy level, your mental acuity and your vitality can all likely improve, and your enjoyment of the richness of life can improve along the way. You see, while ageing is compulsory, decay is not, and lifestyle factors play an enormous role in determining your level of decay. There are many examples of people well into their eighties who are still fit and active – still doing gymnastics and still skiing the slopes. Black runs even! And the coolest thing is that these people need not have been Olympians earlier in their lives. In fact, many of them were probably stressed out, overworked and not finding time to exercise during their 40s and 50s because they had overwhelming commitments. We can say this because it is very common in our society, and it may well be you. 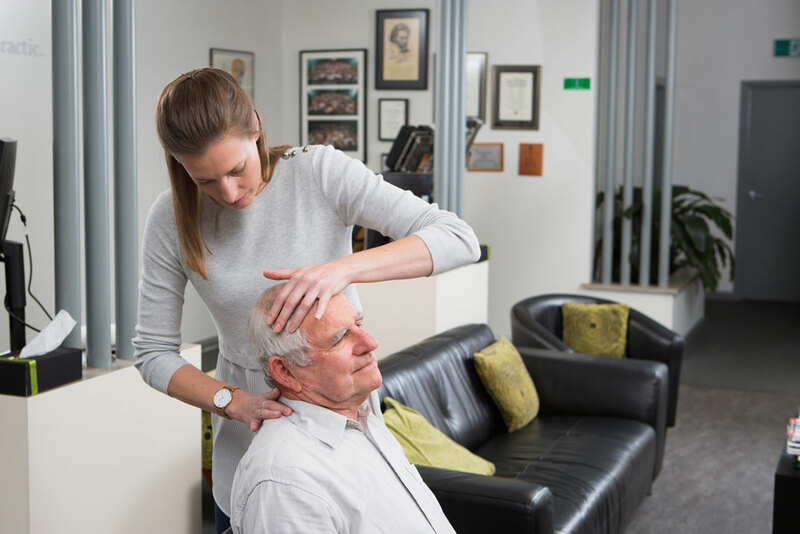 Our aim at Cahill Chiropractic is to not only help you address your current concerns, whatever they may be, but also, if you wish, help you to understand, and put in place, the action steps necessary to push back against the tide of decay.